We will need four engine bosses in 2019 in order to staff our 15 wildland engines. We are looking for professional firefighters who will represent the work ethic needed to gain the trust of our biggest customers. We will provide reliable and above average equipment and eager good engine personnel to support you. We are a low drama operation. -Firefighter Type 1 Squad Bosses and Type 2 (experienced) - We are looking for good hard workers with previous experience. We offer competitive wages and a strong crew to work with with good reliable equipment. We provide advanced training beyond the PMS 310-1 minimums. We want you to be good at your job! We pay extra for EMT certification, prior military experience, and sawyer experience. We offer boot bonuses and advanced training opportunities. -Sawyers - If you are an experienced sawyer, we have a home for you. We provide Stihl's, S212 training and certification, low drama and good pay. -New Firefighters - Next training is April 28th to May 3rd for new firefighters. We have only 25 seats available per class. New candidates must complete the IS100 and IS700 FEMA courses to secure their spots. Email dillon@inboundfireco.com for more information. The training is usually the last full week of the month. *All jobs are in Oregon but may require company provided transportation to any of the 50 US states. *incentives for those who have additional skills and licenses. How do you get promoted to supervisor? How do we get to the fire and what is our plan for accomodations? Where does Inbound typically fight fires? Do I have to live nearby the dispatch site? What equipment is provided and what equipment do I need to provide? What is the work capacity fit test (pack test)? How long does the training take, and are there any fees? Will I work long hours? How much should I expect to make? When does the job begin and how many hours will I work? Is there a minimum age requirement to fight fires? What does a wildland firefighter do? As an on-call firefighter for Inbound, LLC, what can I expect? ALL EMPLOYEES ARE REQUIRED TO TAKE THE FOLLOWING COURSES. THE COURSES ARE AVAILABLE THROUGH FEMA AS INDEPENDENT STUDY COURSES. FEMA WILL EMAIL YOU CERTIFICATES OF COMPLETION. PLEASE FORWARD YOUR CERTIFICATES TO dillon@inboundfireco.com. DRIVERS ONLY- MUST COMPLETE THE APPLICATION BELOW AND TAKE A PHYSICAL EXAM. -Drivers must be 21 years old and complete drivers training and orientation. -Please keep a copy of the entire application packet, fingerprints too, as the DOL often times loses them. Also, always send them in registered mail so we can track their receipt by the DOL. For those of you who live in the Eugene/Springfield area, please follow the directions below. Call Cascade Occupational Health at 541 228 3000. When you make the appointment confirm that an MD will be present. Tell appointment maker that you need a DOT (U.S. Department of Transportation) physical exam. Physical exam must be completed by an Medical Doctor (MD), so please make sure your final paperwork reflects an MD signature. They are part of Cascade Health Solutions located behind Pet Smart across from Costco, on Suzanne Way (a cross street with Chad Drive, in the vicinity of the intersection of Coburg Road and Beltline). Cost will be put on Inbound's account. They will provide you copies of the Doctor's Certificate, which you are responsible for delivering to Inbound. You will probably be at Cascade for at least one hour. Make sure you have an MD conduct your physical exam. When you make the appointment confirm that an MD will be present. If a PA conducts the exam it will have to be re-done. Lane County Sheriff's Public Fingerprinting Unit is in the Lane County Courthouse building, at 125 E. 8th Avenue, in Room 140 (Police Services). Use the sidewalk-level entrance off Oak Street near the corner with 7th Avenue. Hours are Monday through Friday, 9 a.m. to 5 p.m.
Take a number and sit down; it is first-come-first-served. This office provides other services; so plan on some waiting, and get there well before 5 p.m. If you have questions, call 541 682 3906. It is answered Monday through Friday, 10 a.m. to 4 p.m.
Government-issued photo ID, such as a driver's license, is required. The fingerprint card costs $15 to $20, cash or check only; there is an ATM on premises. Inbound will reimburse this expense, so save your receipt. You will receive fingerprint card, and you are responsible for delivering it and the receipt to Inbound. Do not bend the fingerprint card, even to mail it. *These files are provided for employee use and information. Inbound will provide a complete application package during company wide orientation. During this time we will cover the company safety and health policies and ensure a comprehensive application is complete and on file. Next RT130 Refresher Training May 1st, 2019, stay tuned for an update on the Inbound training calendar around the 1st of the year. Pack test starts at 0800 at the shop. S130/S190/L180 New Firefighter Training will be on the last week of each month, beginning in April. Please rsvp with Dillon at inbound@inboundllc.com Next class April 28 to May 3rd. Next CPR and First Aid class will be May 1, on Wednesday of the rookie class. Next Class May 1st. Please check back for updates. Current employees, please check in regularly (currently every other week) with the office at 541-782-1814, or by email or facebook. Inbound actively seeks out veterans of the armed services to employ under the federal and state contracts that we receive. We proudly employ several disabled veterans and find that veterans perform very well in the type of work that we specialize in. Those with no previous wildland firefighting experience are required to complete the entry level wildland firefighting five day course. Scheduled class dates may be found by checking in regularly with the office. Interested individuals will need to be selected to attend the company provided wildland firefighting training. All candidates will need to pass the work capacity test and IS-100 and IS-700 FEMA courses. Upon the completion of the training and pack test, individuals will be qualified as beginning level firefighters (FFT-2). 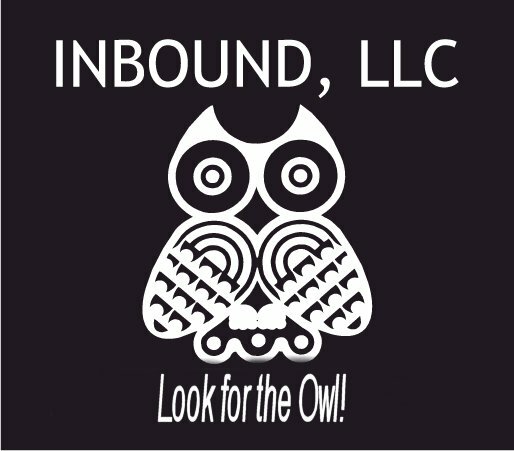 Please call Inbound at 503-473-4851 or send an email to inbound@inboundllc.com to express interest in upcoming training events. Those with previous wildland firefighting experience will be considered on an individual basis. Qualified firefighters’ records will be reviewed to establish currency and experience requirements meet or exceed PMS 310-1. Note: Individuals with structural firefighting experience should contact the Company’s training manager to see if their previous training meets Inbound's training requirements. 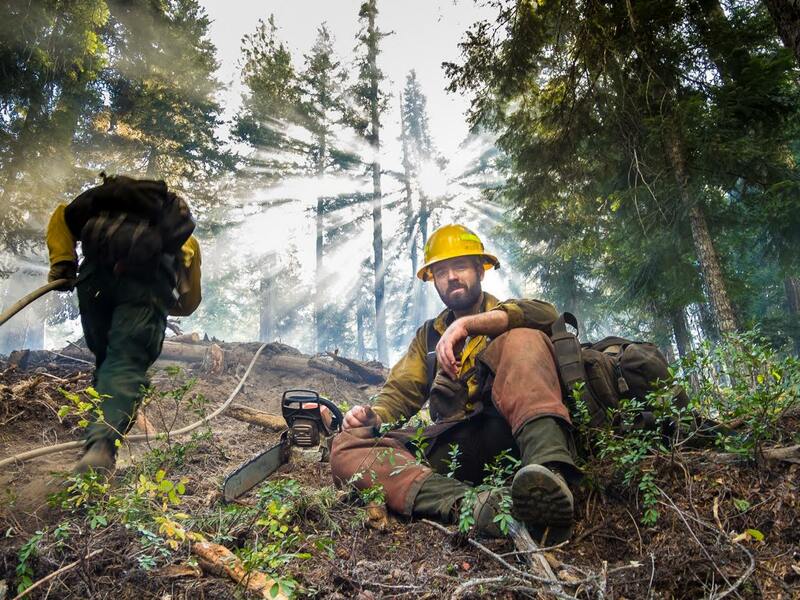 Wildland firefighters that work for Inbound have outstanding work ethic, are extremely dependable, and are self-disciplined individuals with a desire to perform the daily challenges, while exhibiting a healthy respect for Mother Nature's role in the big picture! -Work outdoors in remote and exteme conditions with overnight camping under less than ideal conditions. -Receipts for credit card purchases and petty cash purchases. (turn in at end of assignment for reconciliation. Use expense report as a log). Jerry has more if you need them. -Vehicles maintained and ready per contract (fire extinguishers, first aid kits, insurance cards, vehicle ID, etc...). Made ready for dispatch upon return from incident. -Saws (meet required amounts and standards - working correctly). See saw boss/sawyer responsibilities below. -Ensure copies of CTRs/evals are made for every persons file (will provide office support) when returning from incident. -Ensure your jack and lug wrenches work. -Stay together, lights on while traveling. -Take orders from CRWB and ensure they are carried out with resources assigned. -Sign FFT1-T position task book lines. Be sure to document them correctly. -Ensure adequate gas, mix, and bar oil. Inbound takes pride in providing professional wildland firefighting contract crews that uphold the standards and values of the profession. Through hard work, determination and preparedness, our wildland firefighters consistently receive high marks for their performance while on assignment. Inbound recognizes that our personnel represent the organization’s strongest asset. Providing a safe and drug free work environment is of the utmost importance at Inbound and is considered paramount to the success of our business. For this reason, Inbound has established a zero tolerance drug and alcohol policy and the Code of Conduct for our supervisors. All interested candidates must be at least 18 years of age in order to become a wildland firefighter. Wildland firefighting requires a high level of physical fitness in order to safely perform the work. You can expect difficult environmental conditions including uneven terrain, extreme temperatures, and smoke. A physical fitness test is required to ensure individual and crew safety. The minimum Required Physical Fitness Test is a three-mile hike carrying a forty-five pound pack. The test must be completed in under 45 minutes. **Notice: Inbound, LLC's wildland fire suppression crews are expected to exceed this minimum fitness standard. Inbound maintains a competency and performance based qualification system that evaluates an individual's job competence and fire experience combined with formal classroom training. Inbound offers advanced training opportunities for those individuals demonstrating leadership and meeting the established competentcies for the position. Inbound provides transportation to and from the fire. You will likely be traveling by truck although we do have one van. We sometimes are required to hike or take a helicopter into isolated locations. Once we arrive at the incident, we will be staying in a government provided fire camp, a camp located near the fire where we can pitch our tents, eat, bathe, and rest up for the next day. Inbound is called when the nation's forests are on fire. Inbound has both national and state firefighting contracts and provides fire hand crews and engines to support suppression efforts. This allows us to respond to local fires in Oregon, Washington, Idaho and anywhere else in the continental United States. We have fought fires in more than 13 states over the past 5 years. It is preferred that you live within a two hour radius of our equipment dispatch location. Our hand crews are located in Oakridge, Oregon. We must be ready to roll to the incident within 2 hours of being dispatched. The Company will provide all personal protective equipment required for the position including nomex flame resistant shirts and pants, hard hat, goggles, fire shelter, head lamp, gloves, day pack, hearing protection, and eye protection. The recommended personally provided gear for wildland firefighters will be discussed during training. You should have a good pair of fire boots (leather work boots, lace-up, 8" high, vibrum soles, non-steel toed), a tent and a sleeping bag, and your personal items. The work capacity fitness test, also referred to as the "pack test", is a three mile hike while carrying a 45 pound pack. This test must be completed in less than 45 minutes. The pack test can be retaken under certain circumstances, and may require a doctors release. You must have two forms of government issued ID, one of which must have a picture. Student ID cards are not an acceptable form of government picture ID. Driver's licenses, social security cards and government issued passports are all acceptable forms of government issued ID. Our training manager will evaluate your identification for compliance to the contract requirements. The entry-level, basic firefighting training (S130/S190/L180) is a 36 hour course (6 days). You must attend all of the training in order to be issued your red card. There is no fee for the training if you intend to work for the Company during the wildfire season. The course includes lunches, a pack test, CPR and First Aid, AED training, and company policies and procedures. Wildland firefighters often work long hours, averaging 12-14 hours a day (80-100hrs/week). You may be dispatched to wildfire assignments for up to 14 days straight or more if fire conditions warrant. The starting wage is approximately $17.00/hr which consists of a base pay of $12.50/hr plus $4.50/hr for 'health and welfare' benefits. Health and welfare is subject to change based on government contract specifications. Health and welfare is not subject to overtime pay. Pay rate presumes employee provides their own boots. Inbound will provide boots if necessary, but your pay rate will be $12.00/hr plus health and welfare benefits. Overtime hours worked will be paid at time and a half, not including benefits. Wildland firefighter positions are seasonal, on-call positions. The duration of these positions is very unpredictable based on factors such as weather conditions, ignitions and fuel moisture content. Based on the trends of past years, the wildfire season can begin as early as June and end as late as November. Wildland firefighters must be at least 18 years of age. Wildland firefighting is absolutely a dangerous profession. We have implented saftey procedures and risks are minimized by providing supervisors experienced in fire behavior and the company requirements to wear the appropriate personal protective equipment and by working together and following company policies. We offer several field day operations in the pre-season to reinforce the use of PP&E and we use a mentoring system so each new firefighter has a mentor, a person with more than one season of experience, during their first season. Wildland firefighters work under difficult and extreme conditions. Typically they are self disciplined outdoor types who are in excellent physical condition and enjoy working closely with 19 other crewmembers. During incidents they aid in the suppression of fires by constructing fireline, fuels reduction, and hose lays and other duties as assigned. As an on-call seasonal firefighter you will be compensated for the time in which you are working, including during travel to the fire. The time during which you are waiting for a dispatch call is not compensated. Use Transfer Form #1 to notify the NWSA to move you from a former company to Inbound. Use Transfer Form #2 to notify your previous employer that you intend to work for Inbound. *Please note that both transfer forms should be filled out and signed and faxed to 503-977-6060.